Twitter debuted a ton of changes for its service today, not all of which will be available starting today. The big stuff centers around Explore, the service’s Search functionality, and Moments. Twitter has been listening to feedback from its users, and while it’s plenty easy to find trending topics and events taking place all over the world, the company thinks it can still be better. For those who have used the regular Twitter app recently, you may have seen a “Happening now” tab at the top. This would appear for sports teams you follow. Now, this tab will not only show sports stuff, but breaking and personalized news, too. Twitter is changing up its push notifications, too. 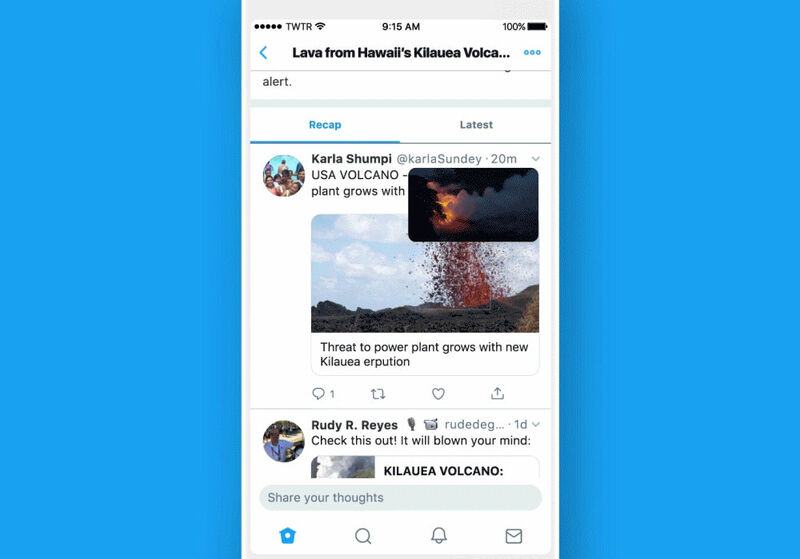 “Now we’re experimenting with sending notifications to you based on your interests (like who you follow and what you Tweet about), so you won’t miss a beat,” Twitter wrote in its blog post. Naturally, you can disable these notifications, but you’ll see it rolling out over the next few weeks on iOS and Android. For your football fans, Twitter will be a great place for World Cup content as well. According to Twitter, you should see a dedicated World Cup page starting today on the official Twitter app. That’s a lot of stuff. You can read more deeply into the changes or just grab the latest version of the Twitter app below.